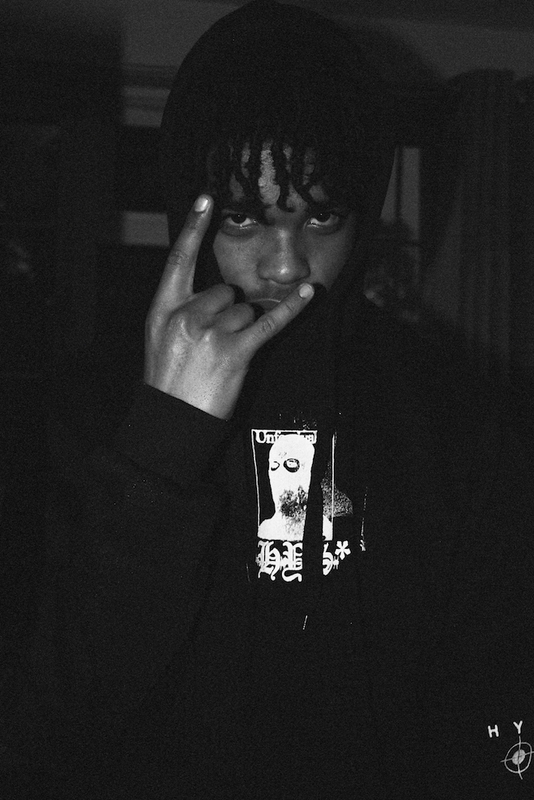 EDIT: August brings new music from rené in the form of Don’t Go featuring weepingwolf. I’ve been blessed to have witnessed the Manchester hip hop community in action many a time, seen links forged and friendships made. I’ve seen nothing but love and generosity amongst members of the city’s music hub. Haven’t Slept Since are the newest label on the block, and you can read all about those guys here. Not everyone gets to hook up face to face, though. 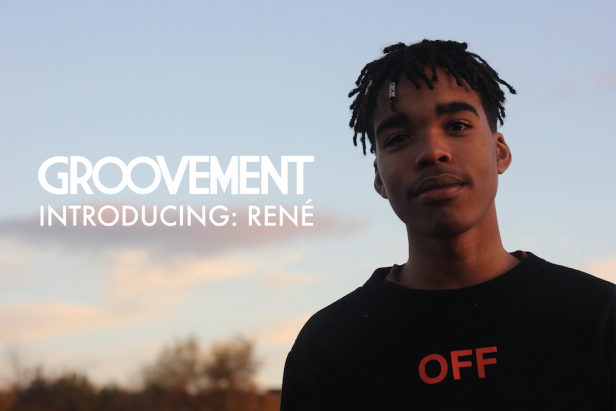 16 year old producer and vocalist rené operates on the fringes of the scene but has a significant Soundcloud presence and a soulfully dark sound that peaked my interest. His latest work is january, streamable below. I look forward to hearing his sound grow even further this year. My name is rené, a young artist from Manchester, UK. I’ve been releasing music since August 2017 through SoundCloud and have been able to grow a small fan base in my local area and in some parts of the United States. Honestly, I seem like a basic teenager but on the inside I’ve suffered a lot mentally and often let my emotions get the best of me. Not particularly in a bad way, I often just avoid talking to people and have almost secluded myself from others. Music just helps me express how I’m feeling overall. January, my latest single, is a short lofi hip-hop/RnB single. Personally this song is special to me because it’s looking back on January and people who I’ve lost since then. Not talking just about January 2018 but January 2016 and 2017 as well. It just seems to be the worst month of the year in my opinion. Do you feel part of a wider Manchester scene? No, I don’t feel part of the wider Manchester scene at this current time. I believe it’s because I’m influenced a lot by hip-hop and other genres over in the USA. Also on top of that I have a lot of friends and collaborators over in the USA. But I am definitely trying to make a name for myself in Manchester at the moment. I have many influencers from many genres to be honest. From Busta Rhymes, Chip, R Kelly, Ne-Yo, Bruno Mars to Slayer and Slipknot. I’ve grown up listening to these genres from RnB, pop, grime, alt rock and hip-hop. That’s why in my music you’ll hear me go from spitting bars which can be seen as complex to then singing on a mellow RnB track. 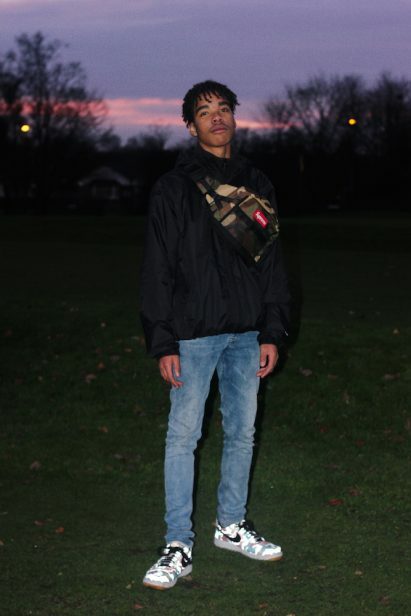 I have collaborated a lot with my friend YUNG FROST who is another artist from Manchester. As well as YUNG FROST I have been collaborating with Jack Marlow a young producer from Liverpool who produced Stoned Thoughts, one of my hits. I have some collabs with my fellow USA artists Yung Luv, Fuller, Arro Beats and Half Life. What works for you in terms of getting your music out? Is Soundcloud the most effective tool? I’d personally say visuals and something to look at is the best way of getting your music out there. A link to your track isn’t going to work personally. Posting snippet videos on Instagram and Twitter is the way I usually go about getting my music out there. I personally believe SoundCloud is a good tool to connect with a lot of underground artists and on top of that is a great way for people to stream your music. My next steps are releasing videos, I have my video for 24K/Diamonds coming in this next month. On top of recording and releasing new music I definitely want to connect with other local artists and producers. Getting my name out in Manchester is a goal for this year.